Last night Amber Rose and Khloe Kardashian went to war—over whether Kylie Jenner and Tyga's relationship is appropriate. The two traded words, reads and shade for hours and then Black Twitter jumped into meme it all. 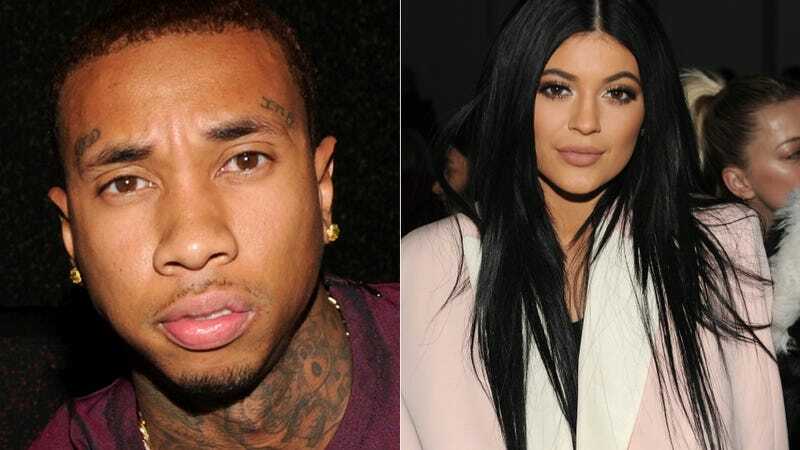 Today, Tyga said "I'm not dating Kylie." Do you believe him? "I want to be clear to everybody that I didn't leave my family to be with Kylie. That's ridiculous. Me and [Blac] Chyna, we broke up close to a year now and because of the decision we made, and things in our relationship that wasn't going right, so we decided to split to raise an emotionally stable kid. That's what we did and now we have a great relationship." Then he blamed TMZ for making it appear that the two were a couple when in fact they are just close friends. You might be asking yourself why a grown man is close friends with a 17-year-old, and you aren't alone. "It's because what people make it seem and TMZ, you gotta think, TMZ didn't really care about me until they figured out that I live next door to Kim [Kardashian] and Kanye [West] and all that stuff. But I been friends with them before I even met [Blac] Chyna. I was friends with Scott [Disick] her family for years, so me hanging out with them was nothing new. People just want to make a story out of it. ... It's crazy, the s*** that they make up is the craziest things I ever heard of." In black culture it's different. If you hang around somebody you're smashing them, white people, white culture, it's different. They really friends. It's genuine, it's different. How we think is a little different with our mentality. For me, if I'm friends with her and I'm friends with her sister, they ho's or we smashing them. And it's like, we really friends. I respect her mom, I know her whole family. What sort of magic do they work in the Kardashian Klan? I genuinely want to know. How does this "white friendship" work? Does it come with free plastic surgery... for your mind? When you decide to get on that screen, that's what you deal with. People can turn it on and off, we live in a TV and you guys live in a radio, people can go on with their regular lives. They really don't care what goes on in our lives … it's just entertainment. ... We went to J.LO's Halloween party [in matching costumes] … but what does that mean? It's not like I'm out here holding hands with her or kissing her. I'm not doing anything disrespectful. I'm raising my son. I see my son every day, he's with me every day if he's not with Chyna or if we're not spending time together.